Back in 1985, Steve had a craving for Fresh Maine Lobsters but couldn’t find any locally in Rochester. Having grown up in Maine, he missed those “Lobster Shacks” in Maine where you could get fresh lobsters at fair prices. Steve’s craving was not satisfied that day, but the idea of a new business was born! Since then The Lobster Trap has grown because our customers have enjoyed the freshest lobsters, crabs and clams available. We Guarantee it! We only do business with a few lobstermen along the Maine coast . All lobsters are good, but some are better than others. If you are a lobster lover, and if you want the freshest seafood available, stop by and give yourself a special treat! 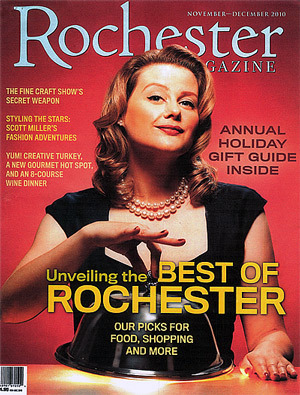 “The Best of Rochester” issue of Rochester Magazine, 2010. Visit our Media Coverage page or click on the image above to read the article about The Lobster Trap! 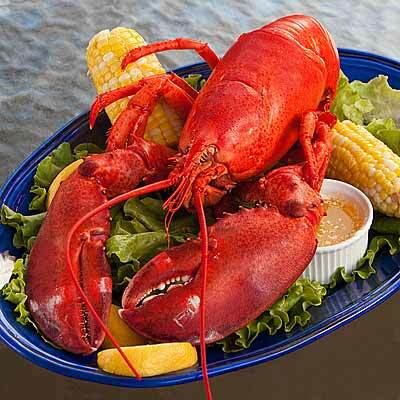 We have the largest supply of live Maine Lobster and Crabs in upstate New York. We select only the finest lobsters and have them shipped directly from boats in Maine. They are then put in our authentic lobster holding tanks that replicate their ocean environment to assure freshness. We also have the largest (and only) supply of live crabs in Upstate New York. We specialize in Golden Crab (FL Keys), Jonah (East Coast,) Dungeness (West Coast) and Blue crabs when they are available. We stock all kinds – Little Necks, Cherrystones, Maine Steamers, Mahogany’s, Mussels depending on the season – all guaranteed to be the freshest and cleanest available and shipped direct from Narragansett Bay’s pristine waters. We have the only Clam Purging System in Upstate New York. Our clams are cleaned in chilled salt water that flows through an ultra-violet light system killing any bacteria. Yep, Saturdays and Sundays, too!